“Identifying this new CASK mutation helps build our understanding of how these multifaceted disorders occur, and provides insight into how they might be treated in the future,” explained senior study investigator Isabelle Schrauwen, Ph.D., research assistant professor in TGen's Neurogenomics Division. The patients in this study, a child, who according to the study authors had a “constellation of symptoms”—developmental delay, feeding disorders, and involuntary eye movement (nystagmus)—was seen at TGen's Center for Rare Childhood Disorders, which helps families identify the genetic source of their children's medical symptoms. Although the child’s IQ and language skills were normal, he had impaired motor development, behavior, and memory. These clinical features are markers of a rare developmental syndrome known as FG syndrome-4 (FGS4). Additionally, the patient was sensitive to loud noises, has a need to touch and examine objects intensely, exhibits impaired visual and motion abilities, and impaired memory. “Here we present a patient with a de novo carboxyl-terminus splice site mutation in CASK and clinical features of the rare FGS4,” The authors wrote. “We provide further characterization of genotype–phenotype correlations in CASK mutations and the presentation of nystagmus and the FGS4 phenotype. There is considerable variability in clinical phenotype among patients with a CASK mutation, even among variants predicted to have similar functionality. While the researchers have narrowed the symptoms down to a genetic cause, they found that boy's parents and older sister were unaffected. “Children such as this young boy so desperately need answers, and by tracking down the genetic and genomic causes of these mutations, we hope to continue building a body of knowledge that will lead to improvements, for this patient and many others with rare medical disorders,” noted co-author on the study Vinodh Narayanan, M.D., medical director of TGen's Center for Rare Childhood Disorders. 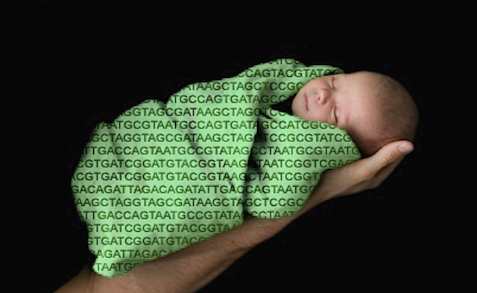 TGen's Center for Rare Childhood Disorders has sequenced the genomes of more than 440 children with rare conditions. This has resulted in a nearly 40 percent diagnosis rate, nearly three times the general rate of diagnosis among this patient population.